Eamonn O’Modhrain from Ballysax, who had commanded the 6th Battalion of the IRA’s Carlow Brigade (South Kildare/West Wicklow) during the War of Independence, objected strongly to the signing of the Treaty and was immediately arrested and imprisoned for much of the year-long conflict. However, many of his former command took up arms against the Free State and operated a guerrilla- style war around Kildare Town, concentrating their efforts on disrupting the vital railway network in the area. 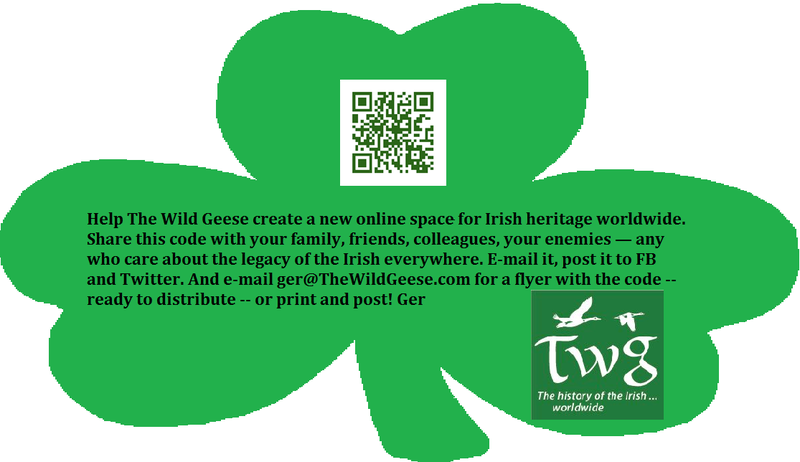 At The Wild Geese, we work every day to weave the threads of individual Irish stories into the tapestry of heritage “wherever green is worn.” Whether you are still pulling at strings or have a fully woven view of your own Irish story, a professional genealogist may hold the key to learning more. Helen Kelly: Like most professional genealogists, my initial foray into genealogy started because of an innate interest in ‘Who’s Who?’ and in particular, a curiosity about my own origins. Kelly: In our professional capacity, our primary work entails Irish family history research, so we are always conscious of the fact that for historical reasons, Irish family history research, for most individuals, can hit the brick wall in the early 1800s. Morris: The great challenge of being a professional genealogist is that it is our job to solve mysteries, to seek out sources that will get us past that 'brick wall.’ We can't always find the answer, but we will leave no stone unturned in our quest. Kelly: Be aware that as human beings we store a vast amount of personal data in our conscious and subconscious, and that the best starting place is -- not on the internet -- but within the recesses of our minds and in the minds of close family members. So, it is good for those starting research on their family history, to write down all they know about their family, retrieve all family documents in their possession and talk with other family members to ascertain what they know about their family history. Once this basic homework has been completed, they should then systematically go in search of family documents in the various family history repositories in their own area, and in the area where their ancestors emanated from. Many of these documents are available on the Internet, but one must always be aware that the family-history project will also necessitate research in local and national record archives and libraries. Kelly: In the late 1980s, my interest in genealogy led me to search the history of my own family after being told by a relative that one of my maternal grand-mother’s ancestors was evicted from a large holding in the Midlands of Ireland back in the ‘mists of time.’ Extensive research of extant church registers brought me to the Registry of Deeds, where I discovered that this event really did happen circa 1790. Validation of this piece of ‘family lore’ then led me to an exciting trail of registered deeds back to the early 1700s and to a family pedigree for one branch of the family documented in Hunstanton, in England, in the 16th century. Visit http://www.indiegogo.com/newwildgeese for more details or launch our campaign page by lining up your smartphone’s camera with the QR code below. 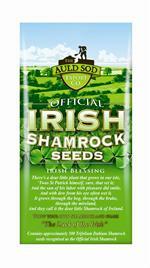 Go raibh mile maith agaibh! Our Heritage Partners at Know Thy Place have offered one of their 'archaeology of your ancestors' map as part of an IRISH REWARD PERK BUNDLE from our Indiegogo Crowd Funding Campaign. These Cork-based archaeologists offer custom charts tailored individually for you and your place, as well as generic charts that explore the island of Ireland, its counties and the ancestral homeland of Irish-American Presidents. A County Chart is ideal if you have not yet identified your ancestor's townland. Sometimes family names give clues to a possible county or counties - for example the O’Donnells of Donegal and the O’Briens of Clare. These charts examine the significant archaeology of the county, exploring it’s history from the first settlers through to the modern day. Know Thy Place also creates Custom Charts with more detailed information from your family history. Included in this bundle is a sketch of your ancestor by New York artist Maryann Tracy plus a 24" x 33" print of legendary landscape artist Edmund Sullivan's "Next Parish, America". 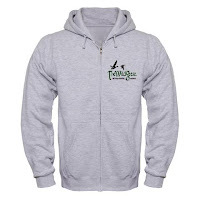 Edmund Sullivan's "Next Parish, America"
Also included in this Irish Reward Perk Bundle a Wild Geese women's or men's hoodie from our store on CafePress, a pack of Shamrock Seeds from WeGotIrish.com, 3 nods for The Wild Geese Hall of Fame plus your photo and one of your particularly beloved Irish ancestor in the mosaic on our new website! Please go to our Indiegogo Campaign page and claim your rewards, no contribution is too small and we appreciate your support of TheWildGeese.com and all our amazing Irish Heritage Partners. For more information on our other Heritage Partner perks visit our Hell's Kitchen Blog.